Hailing from Michigan Mike Lasher was featured in LaughFest Comedy Festival, the Best of the Midwest. He Hosts & Created multiple comedy shows currently featured around the city of New York. 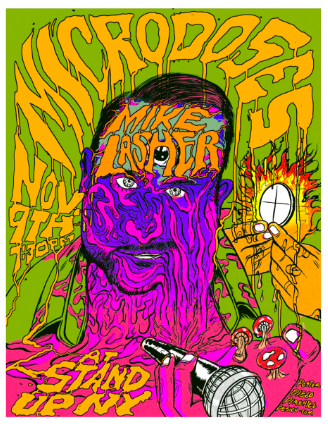 Mike opened for many national touring comedians such as: Joe DeRosa, Brooks Wheelan, Jeff Dye, and Kyle Kinane!